I recently purchased “Follow Your Heart” from the Sacred Relic Studio. As a creative expression of a familiar phrase it is a remarkable piece! Julie’s creativity produces work that is truly unique. Her craftsmanship and attention to details mean that this is a meaningful artwork that will last. 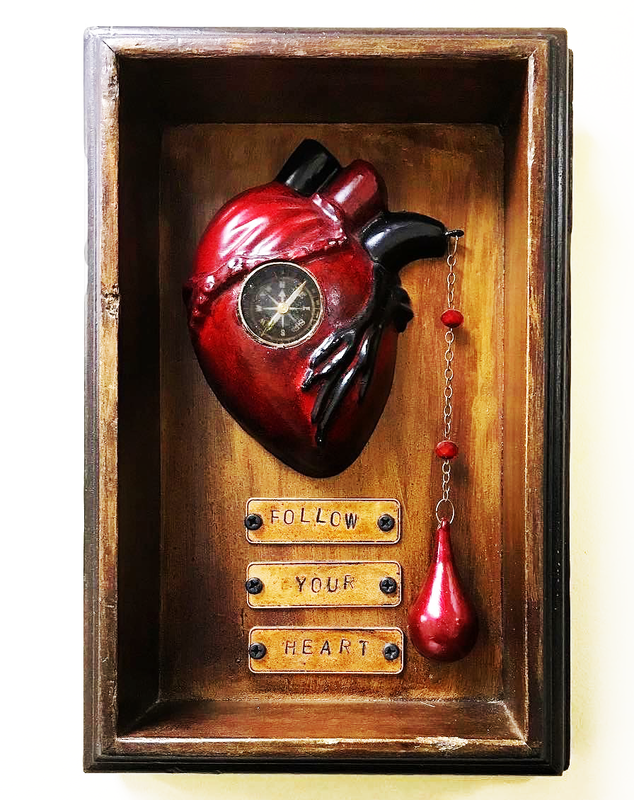 “Follow Your Heart” hangs beautifully with another of her pieces, a heart embroidery that she customized with the phrase “Hope Springs Eternal.” I’m looking forward to new work by Julie and adding to my collection.